HomeThat “Nigerian Prince” e-mail scam? It’s as old as the hills. That “Nigerian Prince” e-mail scam? It’s as old as the hills. Most people I know have received at least one of them over the years: a heartfelt plea to help some poor soul in a foreign land who is in need of assistance. And if you help, you’ll be duly rewarded – with enough cash that you can quit your job and retire early. … All this for simply delivering a few thousand dollars in funds up-front. 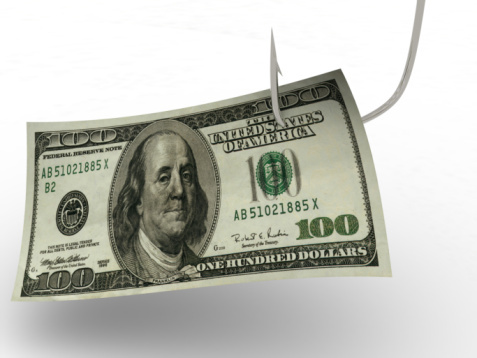 It’s amazing that people fall for these sorts of scams – but they do. Some folks can’t see beyond their dreams of avarice, no matter how sketchy the premise. And the fact that these schemes have been pumped into seemingly every e-mail inbox in existence over the past 15 years or so proves that they work on some level. In fact, this “advanced fee” swindle – and variants of it – dates back half a millennium. A fraudster sends someone a letter purportedly on behalf of some wealthy aristocrat who is imprisoned under a false name in a Spanish jail cell. The letter-writer claims that he can bribe the guards to allow the prisoner to escape – but needs money up-front to pay the bribe. 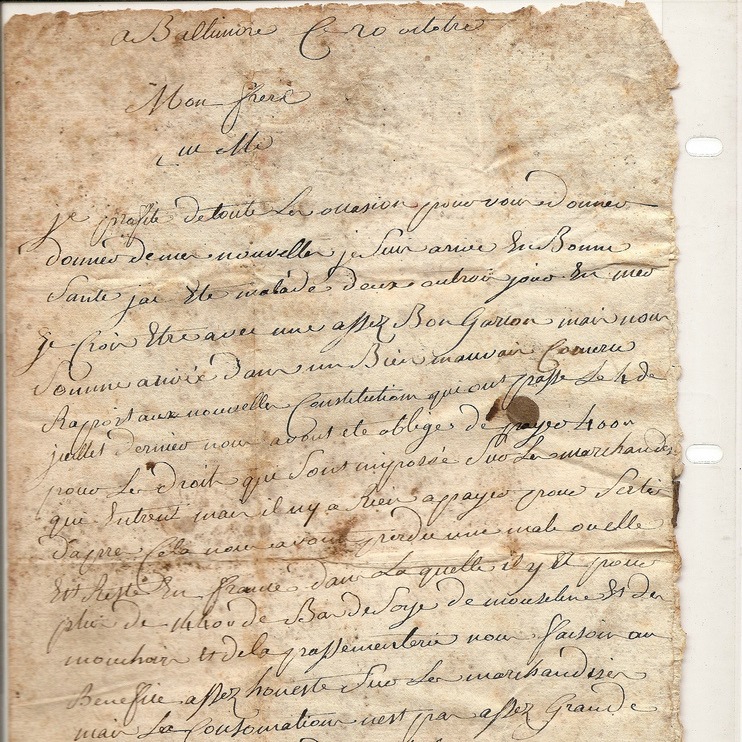 The letter recipient is asked to provide a specific amount of funds for the jailbreak – with the assurance that the freed nobleman will repay ten-fold the funds later. Despite the 500-year span, this story doesn’t sound much different from the “Nigerian Prince”-type appeals most of us have received in recent years. There was even a short story written on this very topic by mystery author Arthur Train which appeared in Cosmopolitan Magazine in 1910. How did the “Spanish Prisoner” story migrate to Nigeria by way of New York? The answer has everything to do with the end of colonial rule in the former French and English colonies of West Africa. Immediately following Nigeria’s independence in 1960, the highly corrupt successor regime plunged the country into political and economic chaos – there’s really no other way to describe it. Even the discovery of offshore oil riches did little to alleviate the country’s ills (and in fact may have contributed even more to the sky-high levels of corruption and malfeasance). Then, in the early 1980s the oil boom fizzled, leaving in its wake a shattered economy and a population in desperate need of money. Soon, the “Spanish Prisoner” saga morphed into the “Nigerian Prince” story — and we were off to the races. Other nations in the region weren’t immune to the same impulses: Ivory Coast, Senegal, Gold Coast/Ghana, Upper Volta/Burkina Faso all experience similar growing pains as young countries, with the attendant social strife. Sometimes the scam stories took on different permutations: romance scams, lottery schemes, work-from-home swindles … and they were perpetrated in two languages (French and English), with FAX machines (and later e-mail inboxes) targeted in the United States, England, Canada, Australia, France and elsewhere that were inundated with appeals. But Nigeria was – and continues to be – the modern-day epicenter of such frauds. In fact, the very term the U.S. government uses to identify these advanced fee schemes is “Nigerian 419 scam,” which refers to Section 419 of the Nigerian criminal code. It was added by the Nigerian judiciary to cover fraudulent activities of this type once they became so ubiquitous. Human nature being what it is, advanced-fee scams like the “Spanish Prisoner” or “Nigerian Prince” will never die. As long as there are people longing to “get rich quick” – on both sides of the bargain – we’ll see it continue to pop up. It’s proof yet again that despite the technological leaps we’ve made in communications over the centuries – from couriers and pages to postal delivery, FAXes and e-mail – basic human impulses remain the same. You can scam in any language … use any technology … and find a “useful fool” no matter where and when. ← At Times Square, it’s “location-location-location” when it comes to advertising. I am John Kerry, Secretary of the United States [sic]. Following series of complains [sic] from citizens of the United States as well as citizens of other countries in Europe over the Discrepancies and fraudulent ways in which fund transfers are handled by Africans /Europeans / Asians which has made it impossible for a lot of people to claim their contracts / inheritance and Lottery funds from most African /Europe/ Asia countries due to frauds and illegal activities. A decision was reached recently by the United States Treasury Department under the authority of the White House to compel African / European and Asia Financial bodies (Banks) to urgently release all funds of American / European and Asia citizens that are trapped in most Banks in Africa, Europe and Asia. It was discovered that some bureaucratic bottlenecks was put by these Banks and financial houses to make it impossible for beneficiaries to claim their funds so that they will fraudulently divert those funds to their private accounts. Consequent upon the aforementioned, I was personally to handle this matter to ensure that all funds of our citizens and others which are fraudulently being trapped in African Banks, European Banks and Asia Banks are urgently retrieved and paid to the actual beneficiaries under a legal manner. Our teams of experts were delegated to Nigeria/Europe and Asia for this task and we discovered your File No: PAF00986/9666/00 with your unclaimed fund [sic]. It was discovered that officials of the Bank has [sic] only put up illegal requirements in order to make it difficult for you to claim your fund [sic]. The United States Department of Treasury has retrieved all files of illegal transactions and we will be working under a legitimate arrangement to ensure that you follow the normal process to receive your fund [sic]. Be informed that the above information will only enable us to make due confirmation. We shall ensure that normal process is followed to ensure that your fund [sic] gets to you without delay.